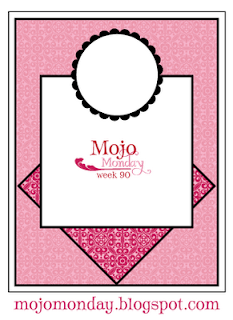 I thought I would challenge myself today and try and make a card that wasn't girly. 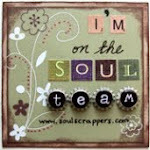 I like this stamp set and wanted to use my sisters new sizzix textures templates. Ok my sister doesn't know I am using them as they are brand new and I haven't given her SU order to her yet but what she doesn't know won't hurt her right?? Sisters should share right? Hee hee. This bear makes me smile every time! 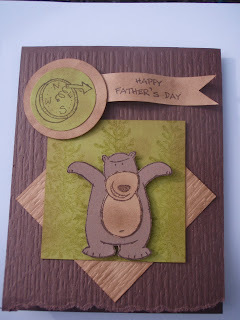 Super fun idea for a father's day card. Great job with the mojo sketch. I just love this set! I like your manly card! Great take on the MOJO challenge.